VANCOUVER, BRITISH COLUMBIA – April 22, 2013 – Ostara Nutrient Recovery Technologies Inc., a clean water company that recovers phosphorus and nitrogen from waste and process water streams and transforms them into a premium, slow-release fertilizer, announced today that it has secured $13 million (USD) in equity financing. Led by Wheatsheaf Investments, part of the Grosvenor Estate, this round of funding also included Ostara Board Chairman Fredric “Fritz” Corrigan and existing investors, VantagePoint Capital Partners and Frog Capital. Wheatsheaf targets investments that support its goal of building a commercial presence with solutions that are making a significant contribution to the growing global demand for food, energy and water. 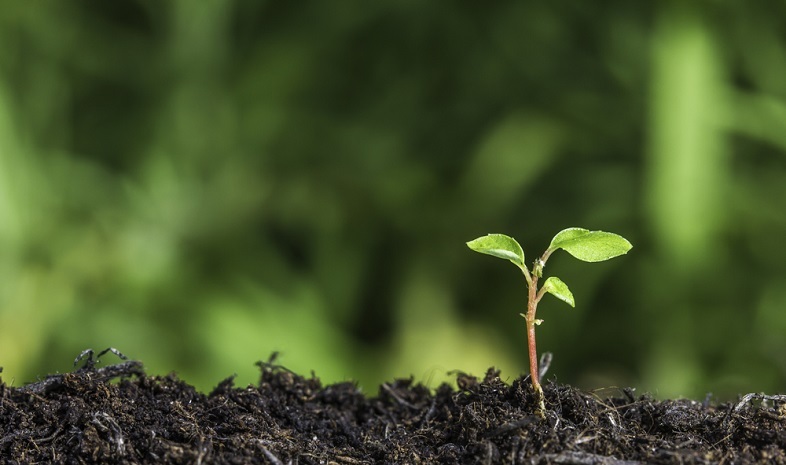 Ostara will use the funds to support expansion into industrial applications for its technology while continuing to grow and support ongoing development of applications and markets for its Crystal Green® fertilizer. With five municipal facilities in operation throughout North America and two more set to come online, Ostara plans to focus on commercializing its first industrial project, having successfully launched a demonstration facility in 2012. “The industrial expansion of our technology allows us to recover ever-greater volumes of phosphorus from renewable sources which we transform into Crystal Green fertilizer, the most efficient form of phosphorus fertilizer available,” added Mr. Abrary. Used by growers throughout North America and Europe, Crystal Green is a slow-release source of phosphorus plus nitrogen and magnesium that offers more consistent, plant-available nutrients than conventional water-soluble phosphorus fertilizers. Its unique mode of action results in enhanced fertilizer efficiency, boosting crop yields while reducing nutrient impact on the environment. Ostara designs, builds and markets a proprietary nutrient recovery technology that transforms phosphorus and nitrogen recovered from municipal and industrial water treatment facilities into a high-value, eco-friendly fertilizer, sold and marketed as Crystal Green®. Ostara currently operates five nutrient recovery facilities in North America and will launch two additional plants later in 2013, including its first European site in Slough, UK for Thames Water. The Company also operates a demonstration facility to treat industrial process water. Crystal Green is the first plant-activated, nutrient technology to offer plant-available, slow-release nutrients sustainably made from a renewable source of phosphorus. Citrate-soluble Crystal Green offers more consistent, plant-available nutrients than conventional water-soluble phosphorus fertilizers, resulting in greater fertilizer efficiency, lower application rates, and reduced nutrient loss, while lowering the risk of leaching and runoff, thereby protecting sensitive regional waterways. Ostara is the recipient of numerous awards including the 2011 Technology Pioneer by the World Economic Forum, and being named to the Global Cleantech 100 for the past four years and is headquartered in Vancouver, Canada. For more information visit www.ostara.com and www.crystalgreen.com. The Grosvenor Estate established Wheatsheaf Investments at the beginning of 2012 as a new enterprise created specifically to develop and invest in businesses that will contribute solutions towards meeting the growing global demand for food, water and energy in the face of a rapidly changing world population. In addition to Wheatsheaf Investments Ltd, the Wheatsheaf Group also incorporates a number of existing Grosvenor Estate agribusiness related companies including Cogent, the UK’s largest bull stud and Grosvenor Farms an award winning farm in the North West of England. The Grosvenor Estate represents all of the assets and business interests, including rural estates owned by trusts on behalf of the Grosvenor family headed by the sixth Duke of Westminster. The three key elements are Grosvenor Group, an international property group which has owned or managed assets in more than 70 urban centers around the world (including Vancouver since 1953); Wheatsheaf Group, which comprises investments in sustainable food and energy initiatives together with a number of trading companies in the North West of England; and the Family Investment Office which includes 5 rural estates in the United Kingdom and Spain, a charitable foundation, fine art collection and historic archive. The Grosvenor Estate employs more than 1,100 people, whilst relating to many more through its ownership and management of land and property. For more information visit www.wheatsheafinvestments.com and www.grosvenorestate.com. VantagePoint Capital Partners is a global leader in financing and supporting transformative companies primarily focused on energy innovation and efficiency. With a best-in-class investment team of business and scientific experts, a broad network of corporate Strategic Partners, accomplished Senior Advisors, and more than $4 billion in committed capital, the Firm has the resources and talent to build important, industry-leading companies. Headquartered in Silicon Valley with offices in Beijing, VantagePoint has active investments in over 70 innovative companies. For more information, visit www.vpcp.com. Frog Capital is a London-based investment firm, specializing in growth capital for technologydriven businesses across the Resource Efficiency, IT & digital media sectors. With €100m under management, Frog seeks to lead or partner in investments where companies require between €2 million and €20 million of funding for expansion capital, minority purchases, management buy-outs or acquisitions. Frog’s recent exits include SiC Processing AG and agri.capital. Current investment themes embodied in the Frog Portfolio include resource efficiency, materials recovery, renewable energy, online fraud, ecommerce analytics, brand funded content and many others. For more information visit www.frogcapital.com.